My 'In House Studio' provides a service tailored to your needs. Let me turn your cherished memories into treasured photographs. The services shown below is a general guide, therefore if it does not show what you had in mind, please contact me so that we can discuss it. 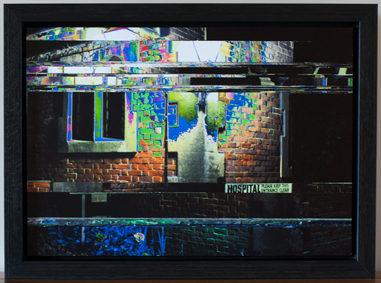 A completed frame comprises of the print, moulding, mount, picture glass and required frame fittings. The frame mouldings are available in a vast array of materials, shapes and colours. There are various coloured and textured mounts. By combining the mouldings and window mounts, this can draw further attention to your photograph. 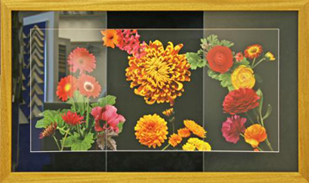 A single window mount can have multiple apertures and this means that more than one picture can be seen in the completed frame. 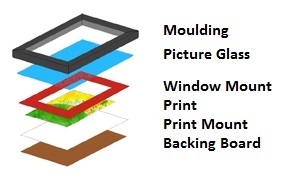 In another example, more than one window mount can be used and each can have a different colour. Those nearer to the glass will have a wider aperture and this can allow the completed frame to have an alternative feel. N.B. There are concerns that harmful acids can cause damage to artwork. To alleviate this, all mounts are buffered with the correct substance. If the window mount is not required, a gap between the glass and print is advisable. Without it, the print may well stick to the glass and cause future difficulties. Again, please contact me if you have any questions. 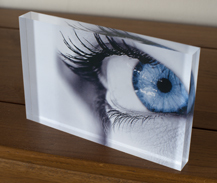 The free standing acrylic mount can be placed on shelves, mantelpieces and tables. The minimalist view creates vibrancy and a 3D appearance. If you require further copies of your original print, then through scanning I will save it as a high resolution image. If it needs retouching, in agreement with you, I will use the relevant software program. The cost of printing will not be increased by this service. A similar service is offered for films and is discussed in the relevant section of this page. Unless otherwise stated, the paper used will be PermaJet's "Ultra Pearl". Alternative papers are available; however this might increase the price. The basic sizes are those listed. If the picture size you require is in between those listed, please use the next highest price. It is understood that printers, even identical models can produce different colour results, however if a sample is supplied I will attempt to colour match. I am able to develop most traditional 35mm, medium format (120/220) and large format B&W films and certain infra-red films. This excludes films such as "Ilford XP2 Super". If you are in any doubt, please contact me. Sometimes films have more exposures than stated on the cartridge; therefore the benefit for you is that I will not charge you higher than expected. Chemical print: Printed onto chemically treated photographic paper. The price below does include the film developing as well as the printing. Digital print: The negatives would be digitally scanned (currently I am unable to scan Large Format negatives), prior to printing, the high resolution images will be saved onto a CD. The CD will be sent to you giving you the opportunity to select the images you require printing. The prices shown above do include postage and packaging. Payment can be through PayPal and details will be supplied. If any further information is required, please contact me.